To celebrate the summer in Sweden, from Abisko in the north to Ystad in the south, Coca-Cola® launched the world's first vending machine where you pay with dialect. 3 280 000 saw the installation. 10 million views in social media. Press reach was over 1140000. During last summer the Coca-Cola bottles´ labels promoted over 90 different holiday destinations. Coca-Cola wanted to activate this locally by giving consumers the opportunity to discover the bottles with campaign labels with an idea that would generate PR. Sweden is renowned for its many different local dialects, with clear phonetic and grammatical characteristics that can be irreconcilable, even for Swedes. This we thrived from this and came up with an idea to sample the bottles by using voice recognition connected to the dialect on the label. 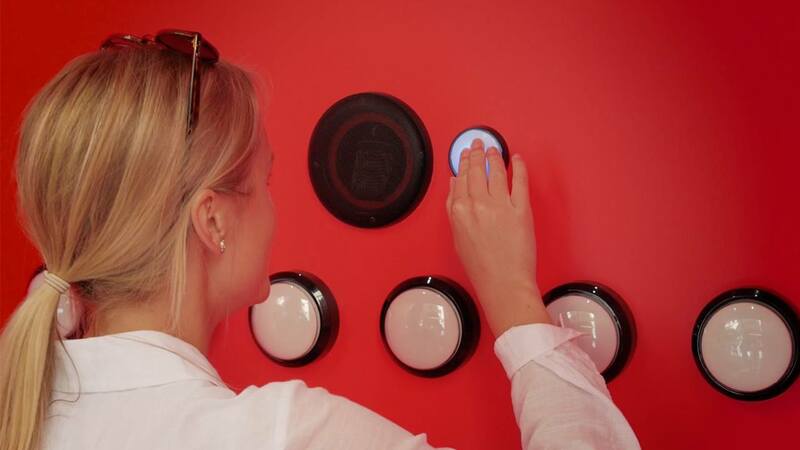 By learning a phrase and pronouncing it correctly, consumers were given the chance to have an ice-cold Coca-Cola®, directly from Dialekt-o-maten which was installed at Stureplan in central Stockholm.